They say it is More than just a simple printed piece of paper! 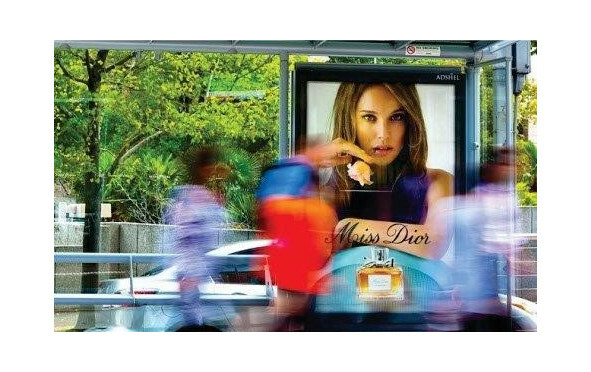 Adshel posters are still core to most Adshel Outdoor Advertsing campaigns and are one of the most impactful advertising mediums given that it is one of the oldest forms of advertising. In this digital age, it is proof of the adage "an oldie but a goodie" It is one of the most popular methods of outdoor advertising, especially among big companies although you see more and more of the expensive digital medium creeping in. Using our printing services you can make an impact in the subconscious mind of the pedestrians, drivers and passengers, everyone who uses the road where your Adshel Poster is located. You instantly connect to your prospective customers. People easily register photographic data and short phrases (slogans). One Adshel Poster and you have thousands of people who are now familiar with the product. Specs Specs 1.8m x 1.2m (H x W) Sizes vary by market due to various structural designs; please contact your local representative before producing artwork. Since the launch of our audience measurement system MOVE (Measurement of Outdoor Visibility and Exposure) in 2010, we have seen a huge shift in accountability across the industry and a contribution to the overall market share. Measures the audiences of the main outdoor media formats including roadside, transit, airports, shopping centres and railway stations by providing a Likelihood To See (LTS); probability of audiences viewing advertising campaigns and how often. the Media Federation of Australia and the Australian Association of National Advertisers. Adshel Posters delivers unparalleled reach and engagement across all capital cities and can guarantee minimum Reach and Frequency on all our pre-planned packages in MOVE. We've been talking about our superior coverage for some time – MOVE now provides the proof clients have been searching for. Our unbeatable reach is made possible through the strategic placement of our 16,000 advertising panels.